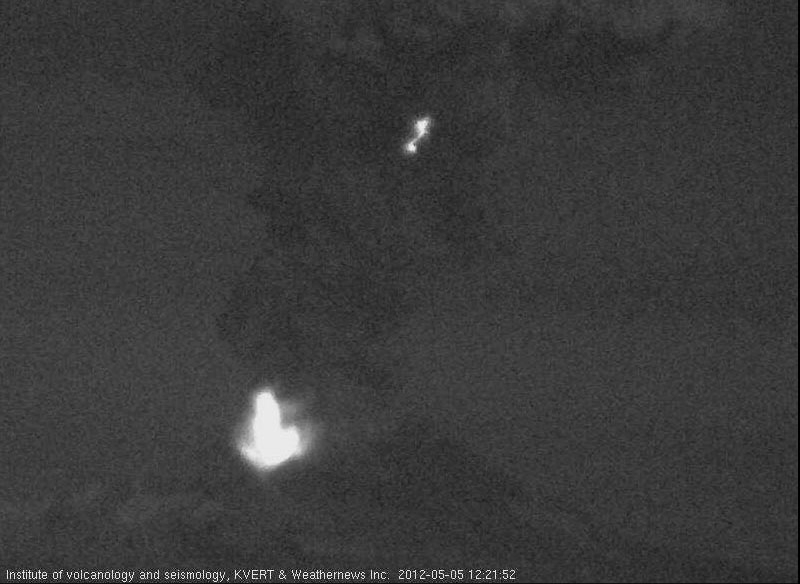 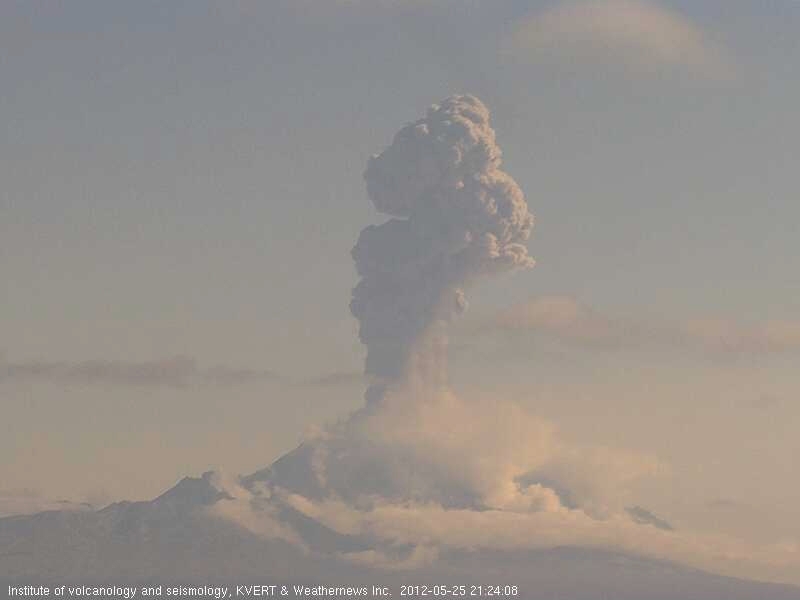 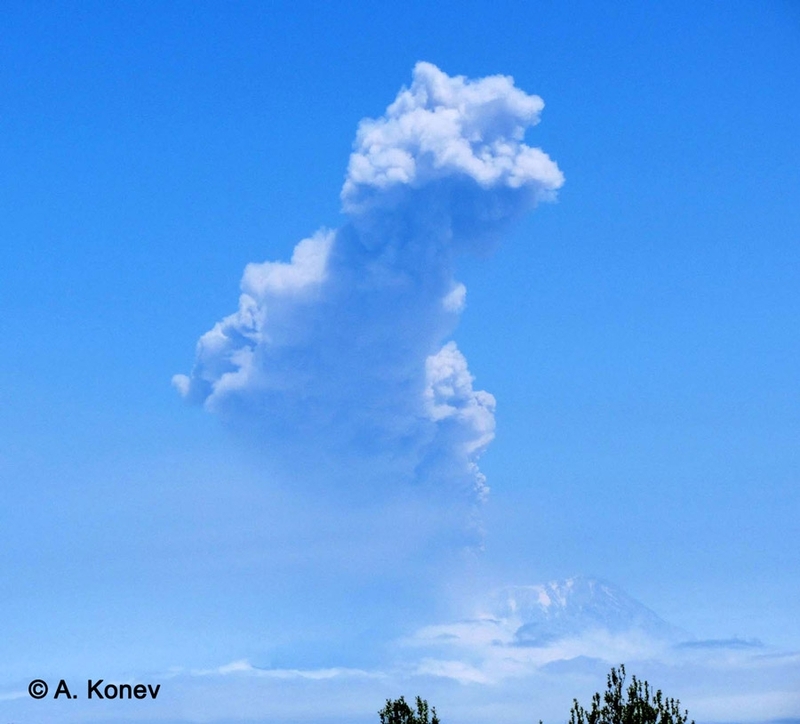 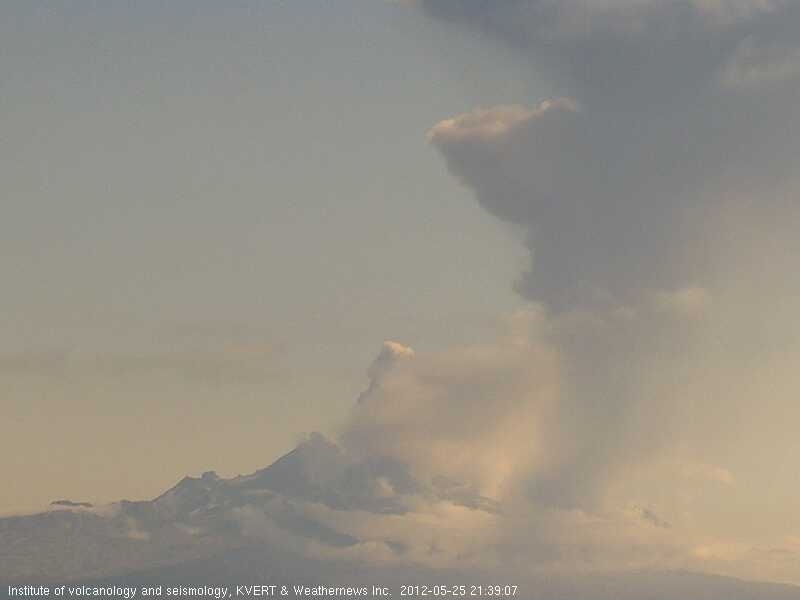 Ash plume to SW of Sheveluch volcano at 2230 UTC. 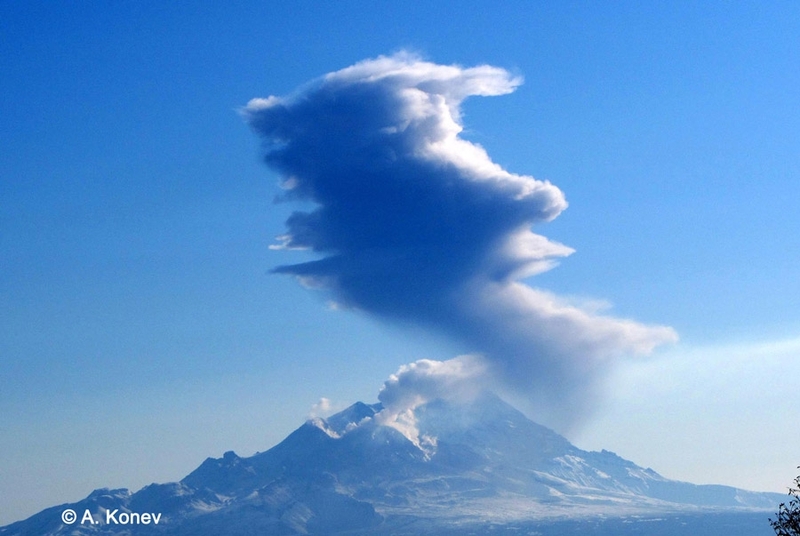 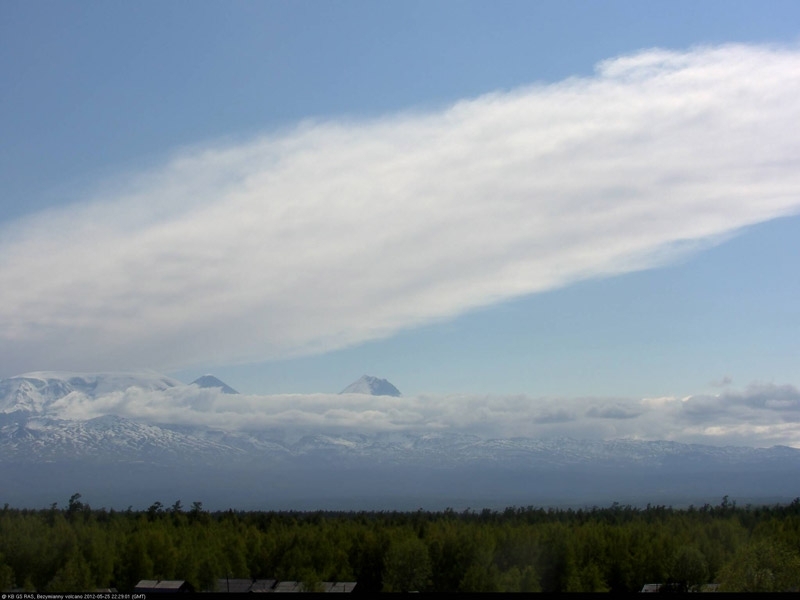 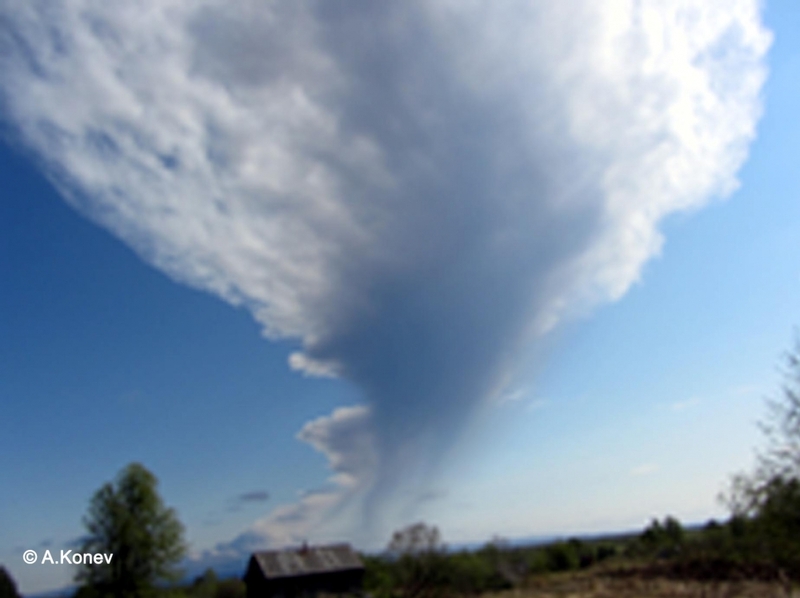 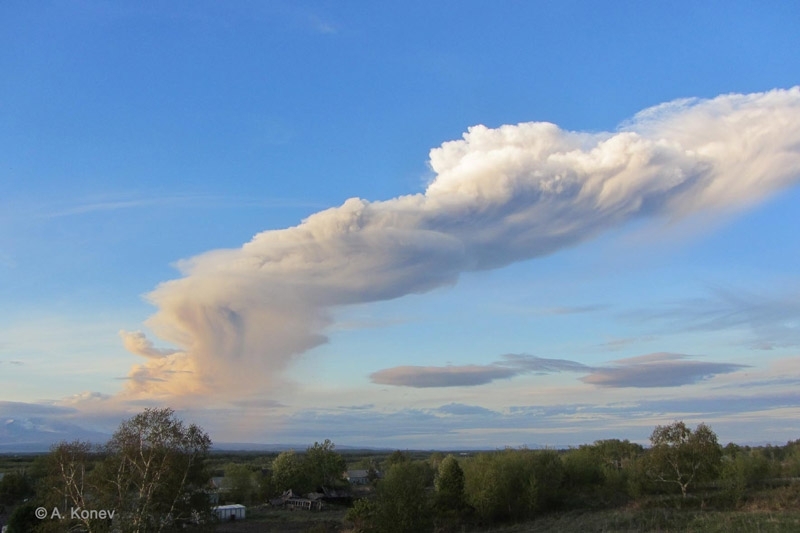 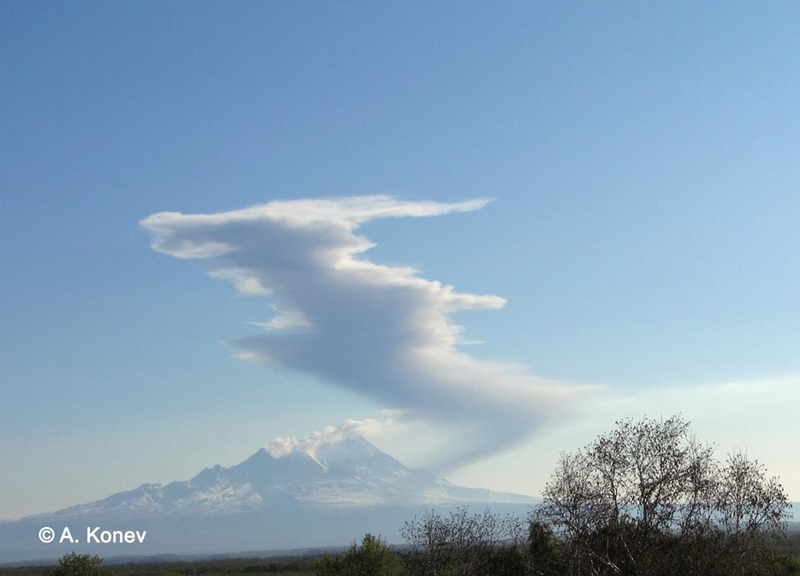 Ash plume of Sheveluch volcano over Klyuchi Village. 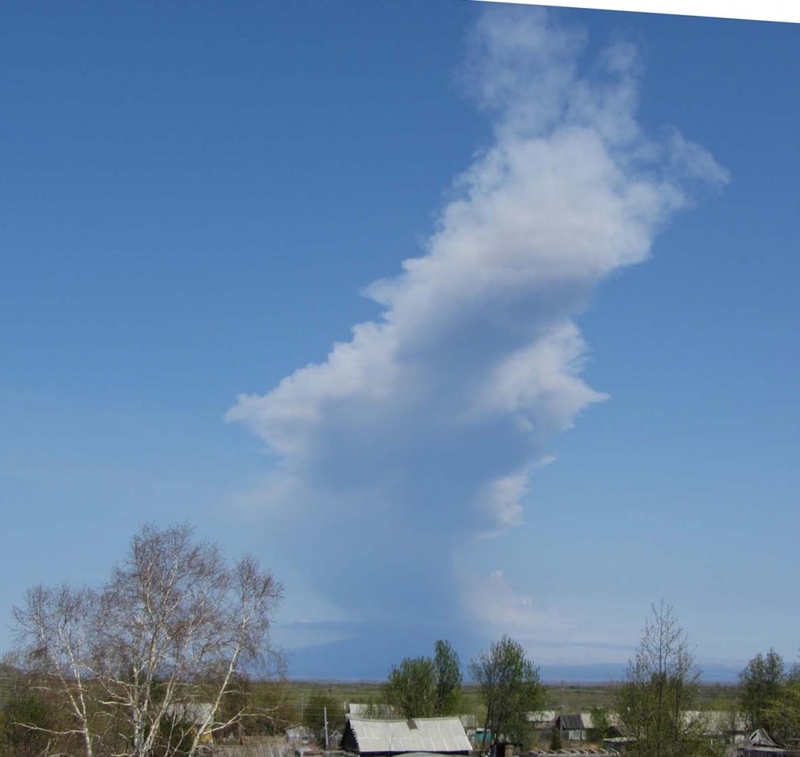 Ash plume up to 8 km a.s.l. 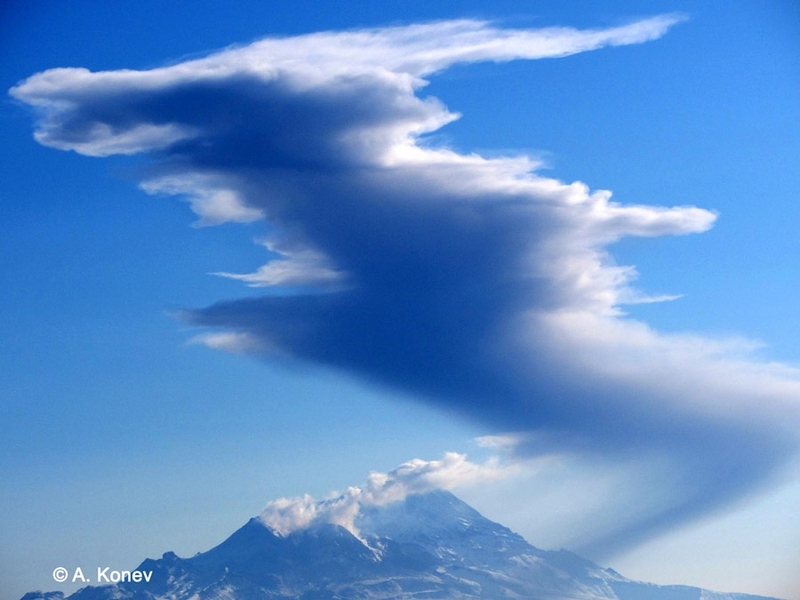 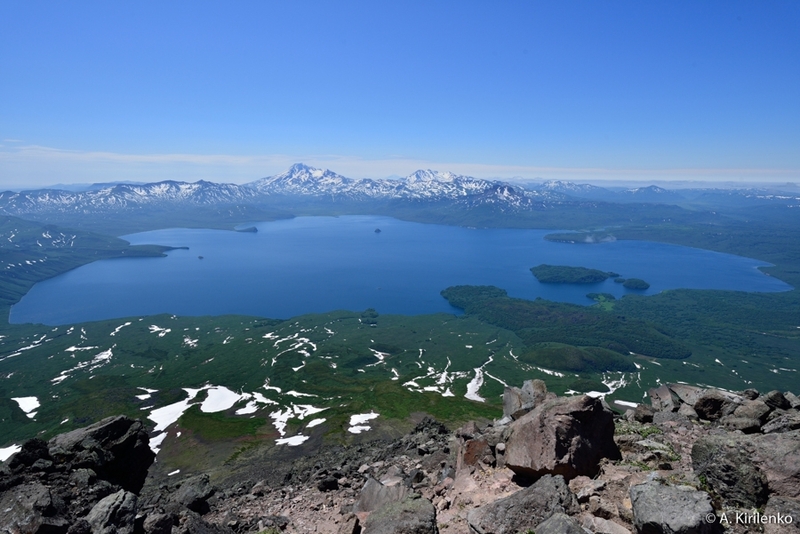 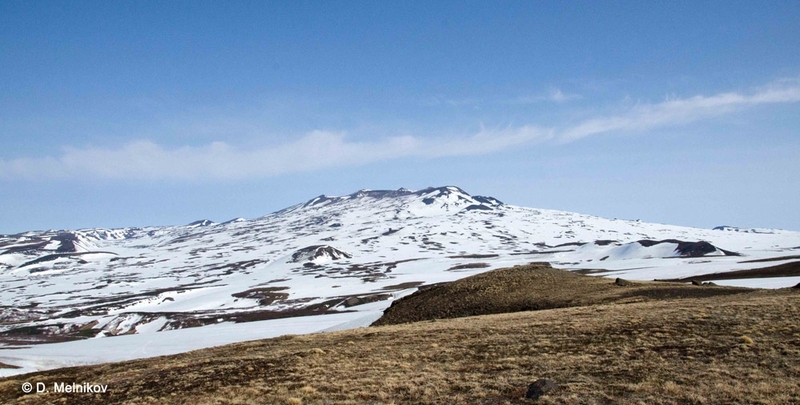 Crater of Klyuchevskoy volcano on May 15, 2012. 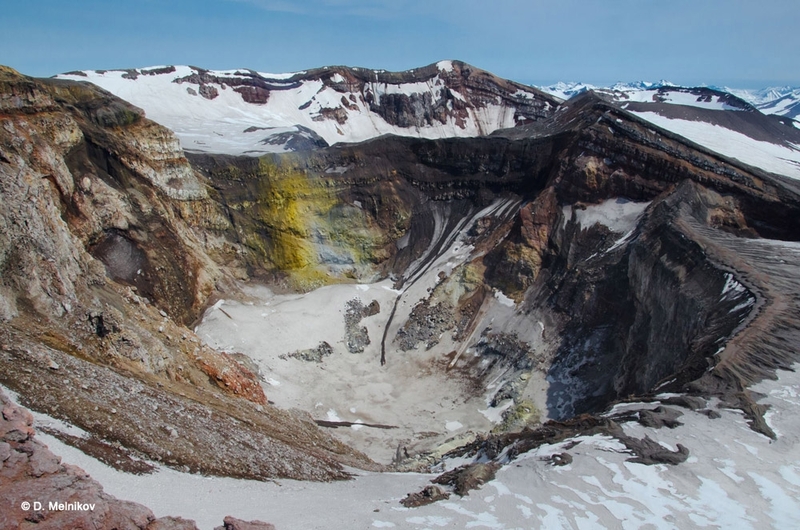 Active crater of Gorely volcano. 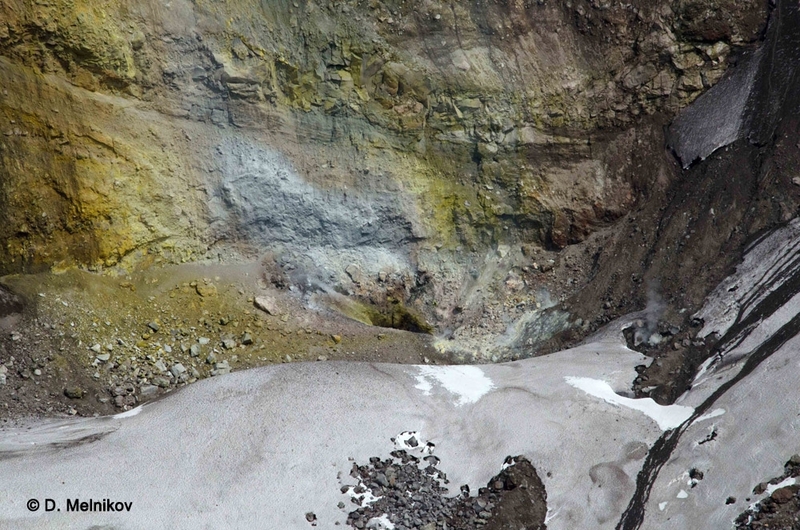 Active fumarole into volcanic crater. 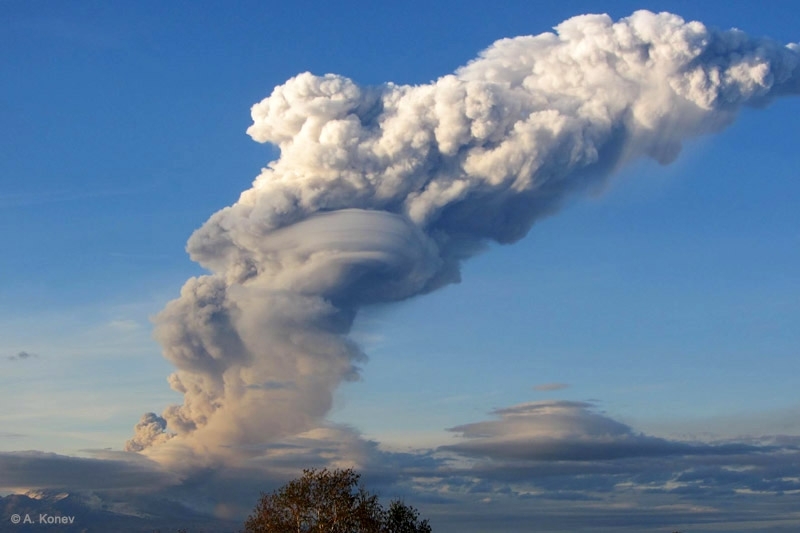 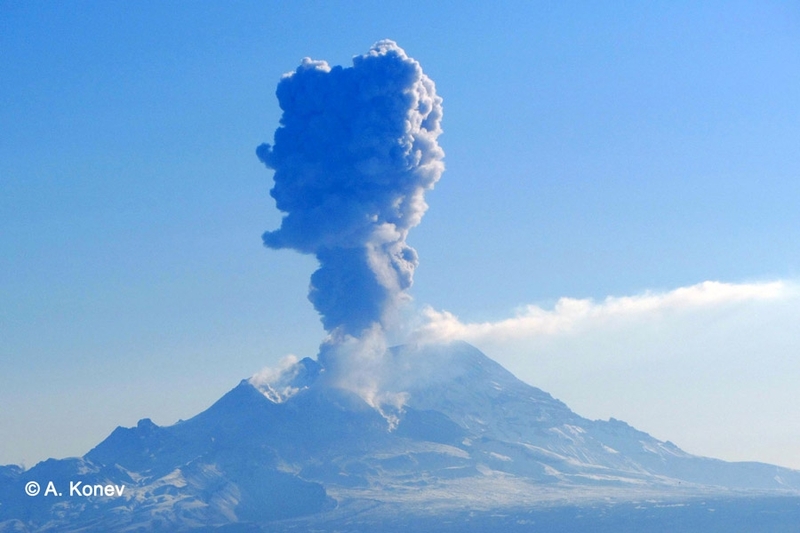 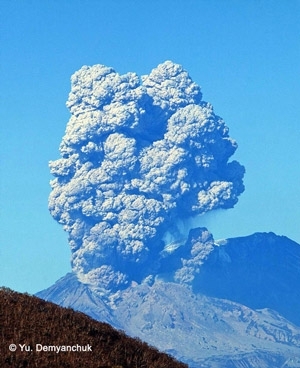 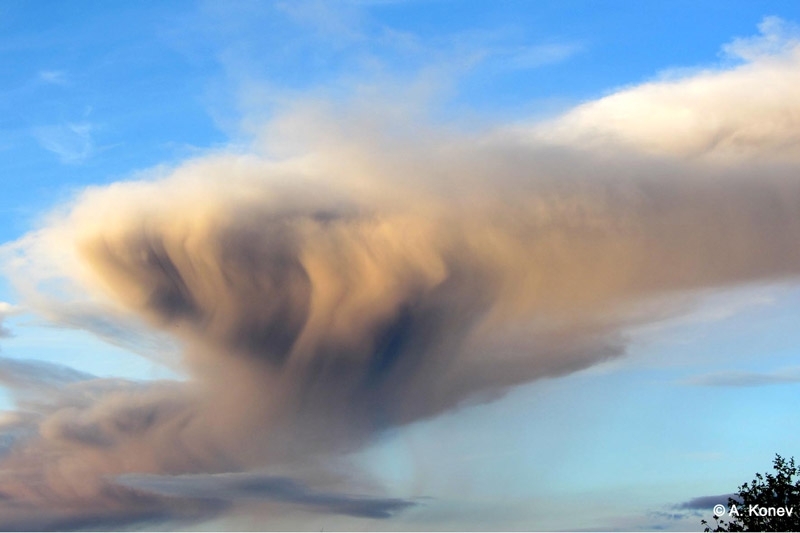 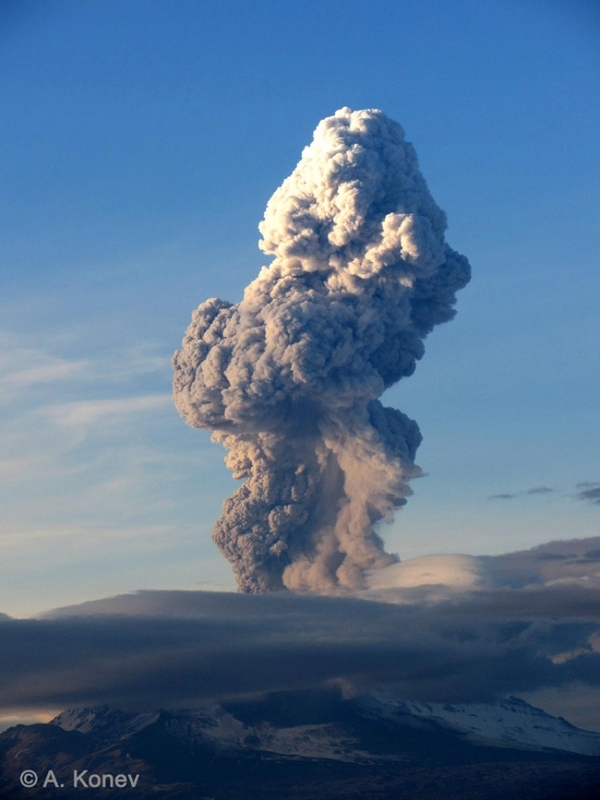 A temperature of fumarolic colourless gas is ~ 600 degrees of C.
Ash plume rose up to 4 km a.s.l. 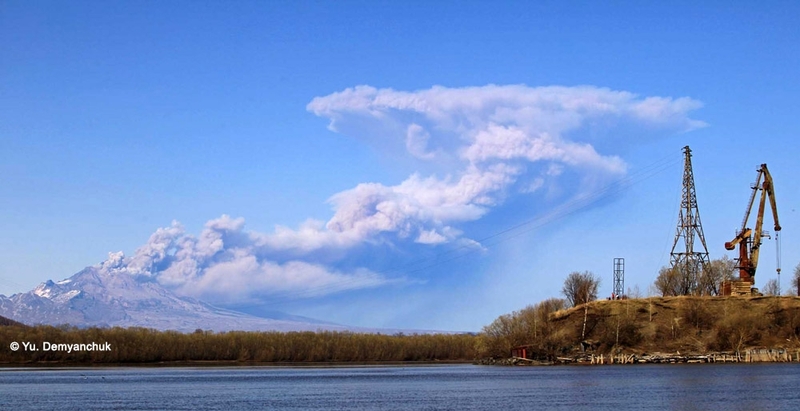 Ash plume rose up to 8 km a.s.l.